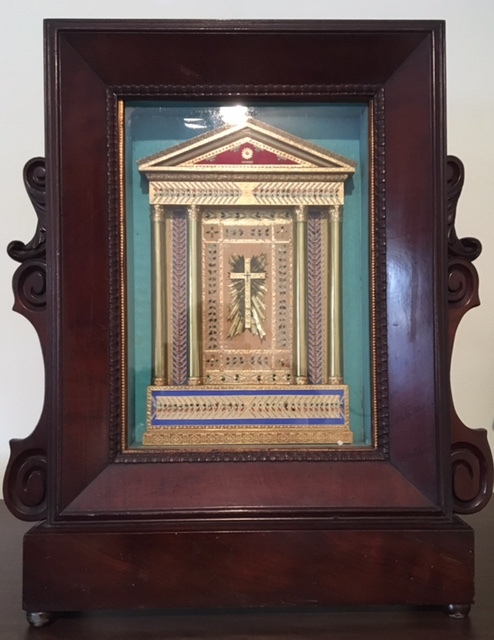 This reliquary, containing the relics of every saint honored on the liturgical calendar of the late 19th century for each day of the year, is quite possibly one of the most unique items in the Papal Artifacts’ Collection. It is in perfect condition with the actual relics fanning out of each side according to which month it is. 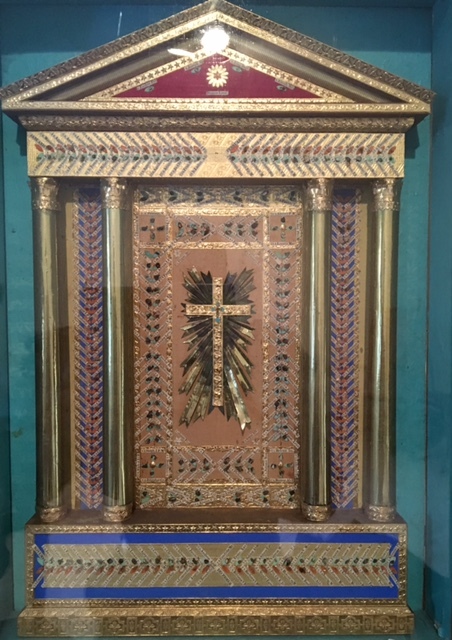 The relics are contained in an ornate wooden case. It is in perfect condition attesting to the care with which these saints have been venerated. The reliquary is incredibly beautiful to behold and a valued and treasure item when one considers the contents of this reliquary.